Yet instead of focusing on this dire warning, markets are busy trying to discount the chance of a Powell Fed or a Republican tax cut. Although both of these developments would be important, China is the tail that wags the dog. Full stop. Figure out China, and all the other financial market forecasts become that much easier. Aren’t Central Bank warnings cheap? Some might argue this “Minsky moment” warning is nothing more than a Central Bank whistling in the wind. Didn’t Greenspan caution about a similar concern with his “irrational exuberance” speech? And didn’t that end up being a complete non-event? Yet I would argue that China is not the same as other countries. Although there are market elements to their economy, to a large degree, China is still a command economy. If Chinese leadership wants a particular outcome, they can just demand it, and it will happen. 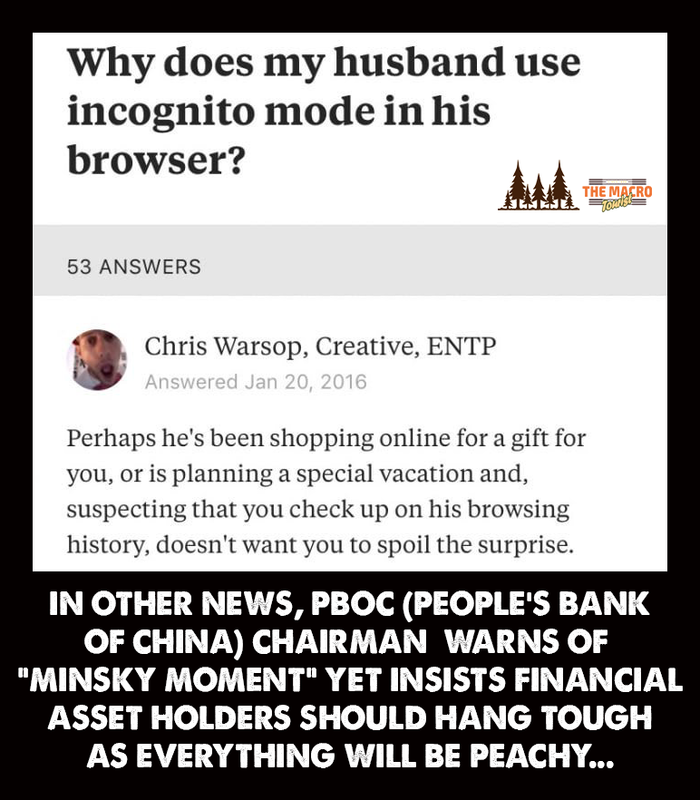 So when the head of the PBoC warns about a “Minsky moment”, it’s probably not a good idea to load up on financial assets. For the longest time, China exported goods and imported developed nation debt and other financial assets. They had already started down the road of re-balancing their economy away from this export driven model, but this recent development confirms that the old playbook should be thrown out the window. The global financial system is changing, and China is leading the way. Their moves will reverberate for years in the future. The Chinese authorities have just put up the warning flag, and you would be foolish to not believe it. This long term warning coincides with my belief that over the short term, the risks are all to the downside. 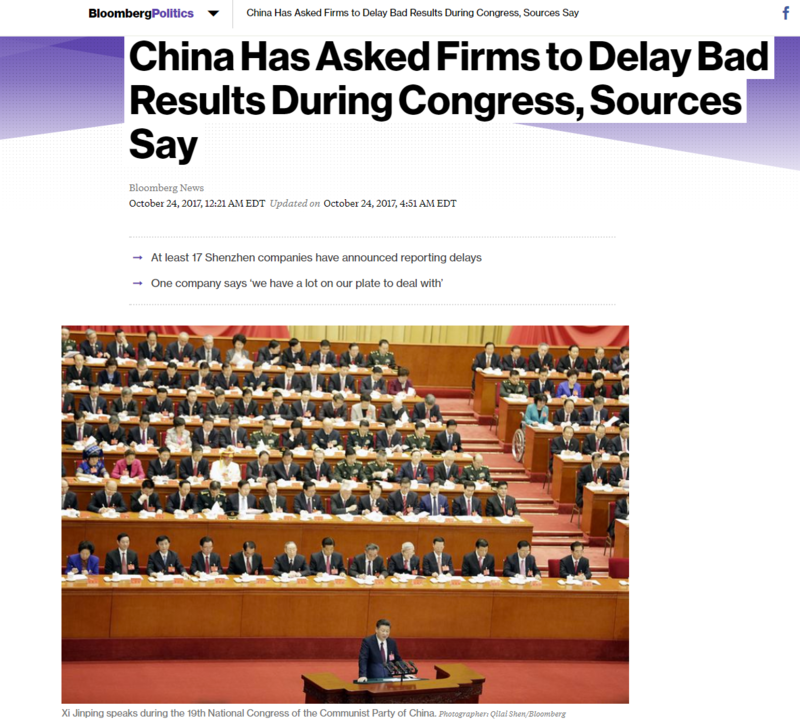 I have been banging the drum on the fact that the Chinese government have done everything in their power to keep markets stabilized through their Communist Party Congress. They haven’t even hidden this fact. From the big sign above the Shenzhen Securities Exchange building that read “Use every effort to protect the stability of stock market for 20 days,” to the recent release that the Chinese government has asked firms to delay bad result during Congress, the message is clear. Every effort has been made to keep financial markets bid until after the Communist Party Congress. And guess what? It ended this morning. Yup - that’s it. All done. Pink tickets are once again allowed. So let’s review. Longer term, the Chinese are telling you to be wary about a “Minsky moment.” Shorter term, they have been actively engaged in keeping the markets propped up, but that support is ending. 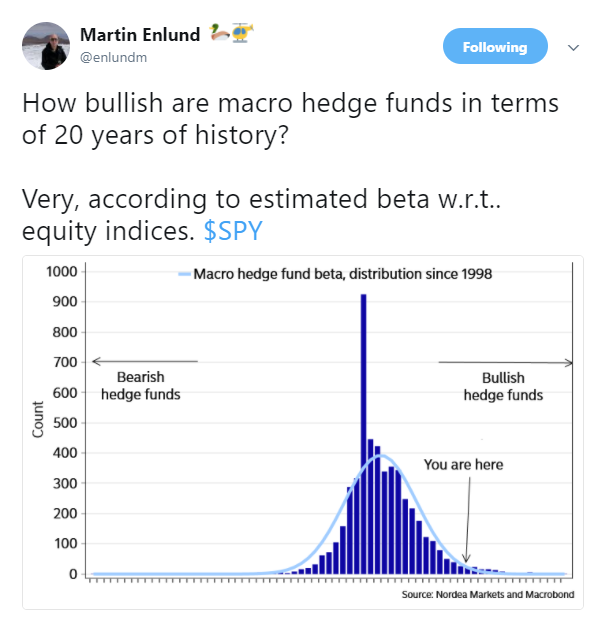 It’s tough because it has been a one way bet for so long, but from a trading perspective, this offers a great risk reward for a dark side stab. Don’t say no one warned you, the PBoC Chairman laid it out for us in black and white.